NICST coordinates and develops a variety of practical, simulation-based training and education programmes for both clinical teams and the public. The focus is on practical skills to improve clinical care, patient safety and foster professionalism. NICST has developed a sustainable methodology for building capacity in acute and clinical skills in resource-limited settings, delivered to over 5600 participants from South Asia and Sub Saharan Africa. 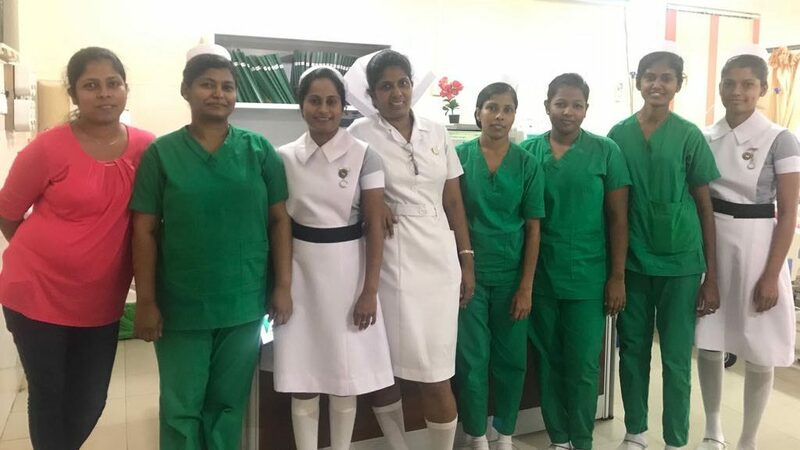 Adapting train the trainer methods and partnering with existing healthcare and medical education institutions, NICST has a range of acute and critical care short practical courses for front-line health staff. Programmes combine practical skills training with insitu simulation, peer-led workshops and problem based learning methods. The material is developed in partnership with local clinicians and informed by the research projects and quality improvement partnerships. This Advanced Resuscitation Training (ART) course provides a standardized approach to cardiopulmonary resuscitation in adults. It targets nursing officers who are expected to provide ART both inside and outside their hospitals. The multidisciplinary nature of the course facilitates efficient team work while also refining the assessment and management of critically ill patients. Realistic clinical scenarios related to cardiac arrest and other medical emergencies. Facilitated debriefing session after each station to discuss and learn from the experience. Acute Care Skills Training is a nurse-led and nurse-focused ICU training programme. It is the first practical skills focused programme to train nurses in a developing world country. The course has been developed and conducted with multi-disciplinary local and international collaboration. Our NICS Training Acute Care Skills course is endorsed by the Global Intensive Care Working Group of the European Society of Intensive Care Medicine. Realistic scenarios to improve patient care in emergency management. This First Aid and Basic Life Support course aims to train school children and employees from organizations and companies to help sick or injured person medically until full medical treatment is available. By the end of the course participants should be able to effectively recognise and provide a first-aid response to those who need basic emergency care. Specially designed workshops to demonstrate managing patients with special circumstances. The Good Intern Programme (Phase 1) is a clinical training course designed to help you develop confidence and competence in managing common emergencies in the ward. Training is delivered in our purpose-built simulation centre. Revision on the topics of resuscitation and life support and its practical application in common medical and surgical emergencies. Aids nurses in improving patient safety and outcomes. Focused on developing knowledge, perceptions and skills. 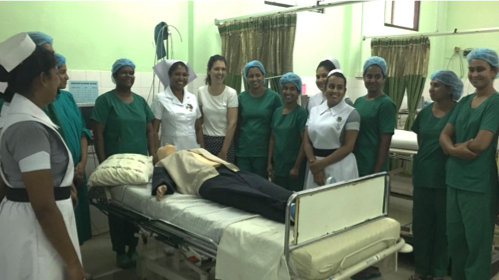 This simulation and skills training course was proposed to improve the skills of doctors and nurses in Sri Lanka. 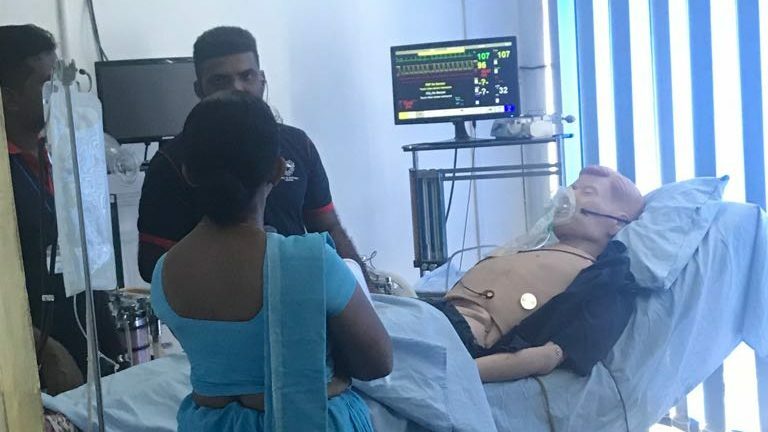 Simulation-based medical education for enables all healthcare professionals to acquire knowledge, skills, and attitudes in a safe, educationally-orientated, and efficient manner. Procedure-based skills, communication, leadership and teamwork can be learnt and assessed, with the potential to be used as a mode of certification to become an independent practitioner. Provides a platform for the enhancement of problem-solving and decision-making skills, and team-based competencies like interpersonal and communications skills. Allows trainees to receive hands on experience on patient management, practice, and learn through their mistakes, without posing a risk to patient safety. This physiotherapy final year students’ clinical training course has been designed to help students develop confidence and competence in assessing and managing patients with cardiorespiratory, neurological and musculoskeletal conditions. Real-time learner feedback and peer to peer evaluation using electronic learning tools for greater individual growth.